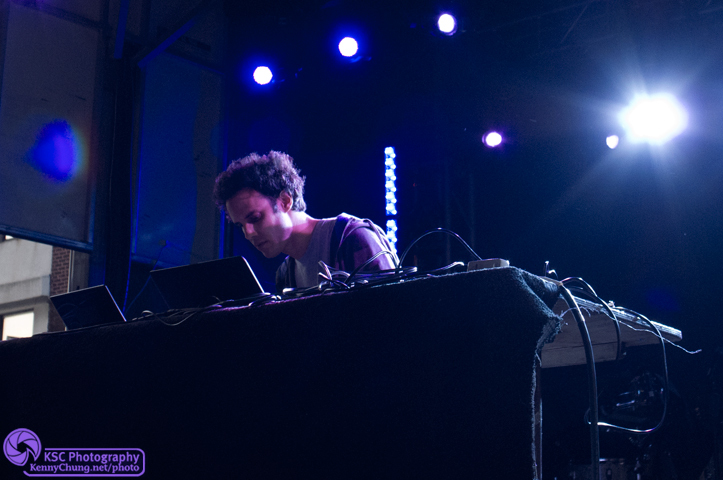 I hadn't listened to Four Tet since my college days, but knew I definitely wanted to catch his set just to see how the sounds all layered together live. 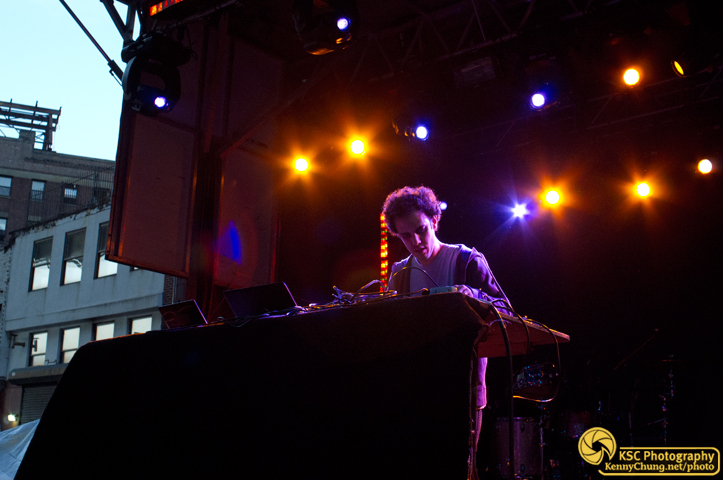 I must say that Four Tet (Kieran Hebden) stole the show with his amazing 45-minute long non-stop mesh of sounds, both electronic and organic. There was barely any silence, so the crowd had to wait for him to finish to give him the proper applause he deserved. He left the stage and then came back to an encore to a racuous cheers. It was unreal, and you could see it in his face that he was humbled by it all. Definitely the performance of the night. A man of few words, Kieran Hebden took to the stage quietly but soon delivered an amazing atmosphere of sounds armed with two laptops. Kieran Hebden captivated the crowd in a non-stop epic song. 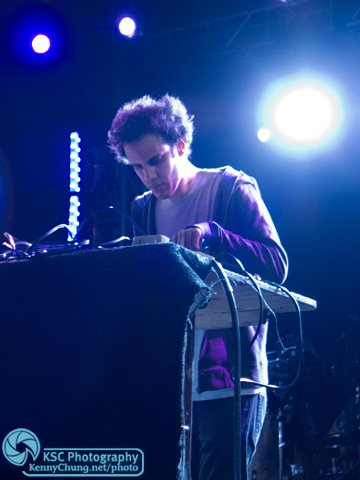 Four Tet is way more than a laptop DJ (to call him one would be insulting), and I hope the other electronic musicians in attendance learned a thing of two. 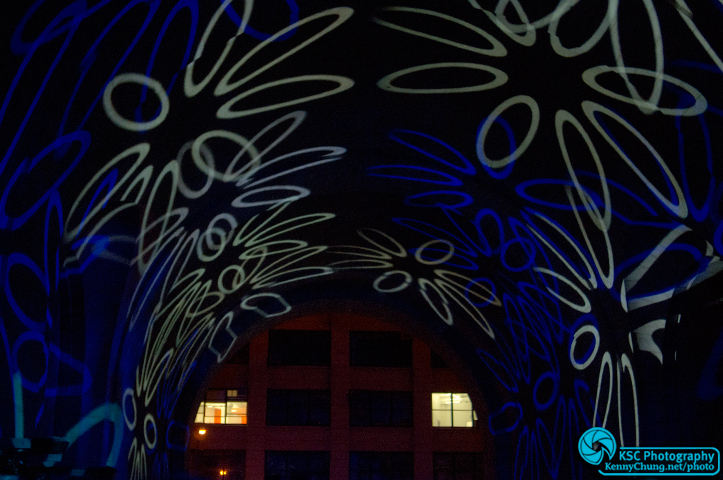 Lights projected on the ceiling of the Manhattan Bridge Archway.